A food poisoning outbreak turns out to be a curse over a quiet town in Pennsylvania. A plastic surgeon succeeds in his quest for eternal youth, with unexpected consequences. Story: The movie layers itself in the guilt-ridden mind of a former FBI agent, who, stranded in the painful memory of the abduction of his sister, suffers from nyctophobia: an irrational fear of the dark, and will have to face-off with the cunning serial killer who took her away. Featuring: Oscar Cardenas, Kenzie Dalton, Selma Blair, Graham Greene, Tokala Black Elk, Julie Gonzalo, Glenn Morshower, Bill Bellamy, Jon Lindstrom. See full cast & crew. I have never seen a film with so many breathtaking scenes like this one. Maria Gabriela Cardenas’ The Great Illusion blew up my mind it got me speechless. The story is so great I don’t know where to begin. 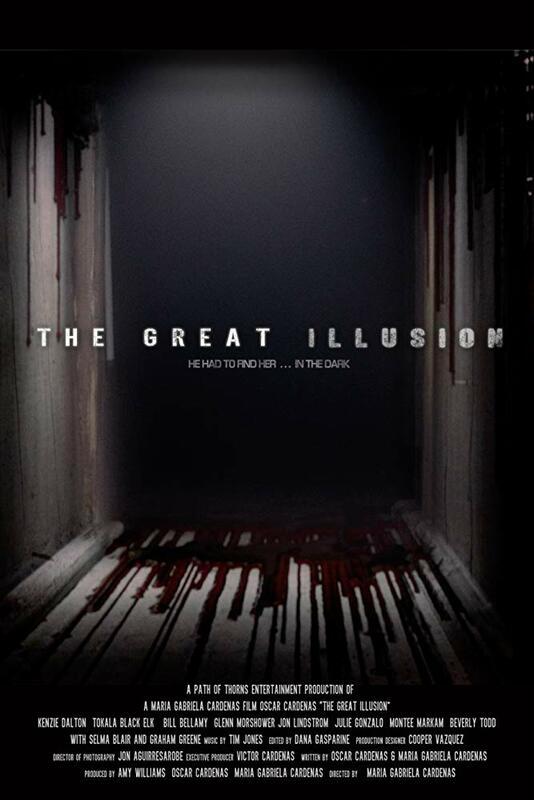 This movie is by far the most compelling and heart-racing psycho-suspense-thriller I have seen this season, and I firmly believe that The Great Illusion is one of the top contenders in the feature category, and is unmistakably a hard one to beat. Probably by now, you are wondering what got me too engrossed with this movie? What made me say all those factors about this film? Well, you see being an avid fan of the psycho-suspense-thriller genre the first thing I consider and makes the most prominent factor of the film’s outcome was beginning. I always anticipate that intensely heart-racing scene with an aura of terror that either baffles the mind or will totally leave me shocked and terrified, director Maria Gabriela Cardenas didn’t fail me; she exceeded my expectations and handed me a scene that gave me the feeling of having a nightmare, and all I want is to wake up. She was able to transmit fear with the way she shot the scenes. Her vision as she crafts this movie is bizarrely sick and creative. It was a work of genius, a masterpiece that belongs to the ranks of Sidney Lumet, David Fincher, and M. Night Shyamalan. It also impresses me that the story is an original piece that she has co-written with Oscar Cardenas, who also played the lead character, Tony Cruz. I like the vulnerable yet courageous trait of Tony’s character it gave depth to the often macho and insensitive persona of men of arms in the movies which was brilliantly portrayed by Oscar Cardenas. The scenes that he was in were packed with emotions, and his acting was compelling that at some point I didn’t even know if I have the courage to continue watching. 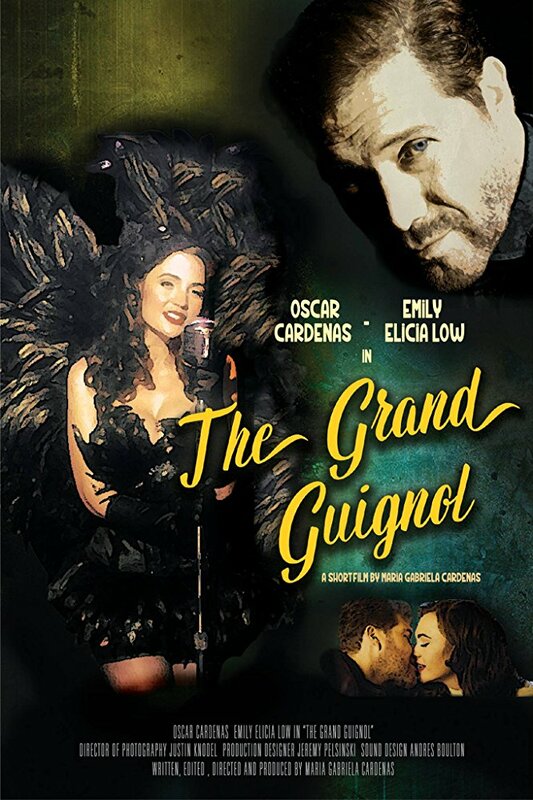 I’d also like to highlight the superb ensemble of cast that this film has from the outstanding performances of Graham Greene, Kenzie Dalton, Glenn Morshower, Tokala Black Elk, of course, Oscar Cardenas and the lovelies Selma Blair, Julie Gonzalo, and Ireland Baldwin. 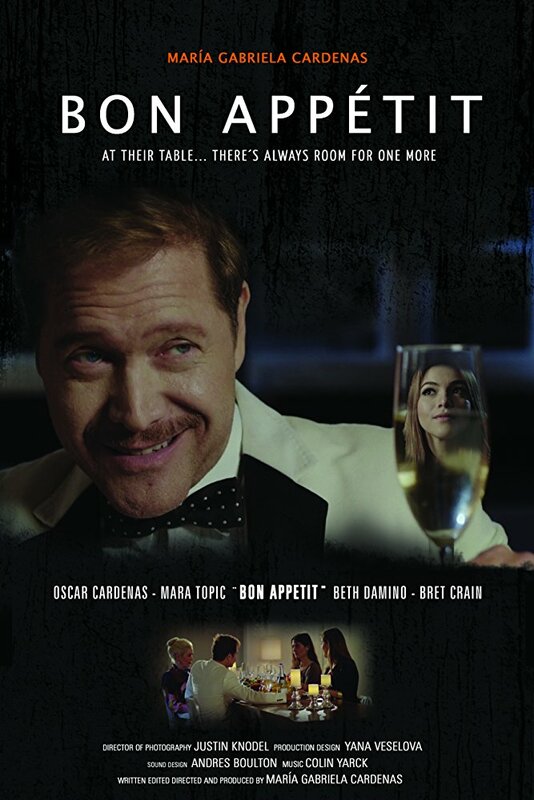 It is always delightful to see Selma Blair and Julie Gonzalo in a movie aside from they are the actresses I grew up watching, their acting creates balance in the movie, also sets an assurance that I am about to watch something really good. Graham Greene and Tokala Black Elk were remarkably unforgettable. I am sure that they will haunt my mind for a very long time, that is how effective they were as “The Cradle” They are deserving for recognition for their award-winning performance. This feature just scored two thumbs up from me, and I am proud to say that out loud because it deserves the honor. It will ignite your darkest fears but at the same time guide you on overcoming the demons that live within. Undoubtedly something to watch out in theaters.